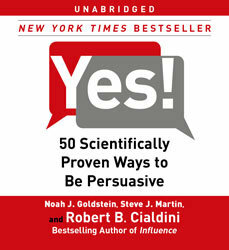 Very informative but not much new or much different from other persuasion books. It does help identify situations in which these techniques could be used. The narrator is not monotone but does have moments in which he could have read faster and be able to deliver the same message . simply great. not what I expected, but we'll worth my time.